I know I promised to post more about my bath, body and hair care products this year and I definitely will soon, but until then here’s Part 2 of my March and April Empties (Part 1), which consists of everything non-skincare related that I finished up over the past few months. Enjoy! Ingredients: Aqua, Ammonium laureth sulfate, Maris sal, Cocamidopropyl betaine, Polysorbate 20, Ananas sativus fruit extract , Mangifera indica fruit extract, Glycerin , Citrus aurantifolia oil, Helianthus annuus seed oil, Tocopherol , Parfum, Sodium benzoate , Potassium sorbate, Citric acid, Curcumin CI 75300, Limonene, Linalool. I really should have included this brand in my ‘Best of British’ series because I am completely obsessed with their shower gels. This one in particular smells incredible – sweet, zesty and refreshing and I love starting my day with it. I think the ingredients could be slightly better from a green beauty perspective (no ALS, Polysorbate 20 etc) but as a whole they’ve done really well being that the product is non-GMO, cruelty free, BPA free and vegan. 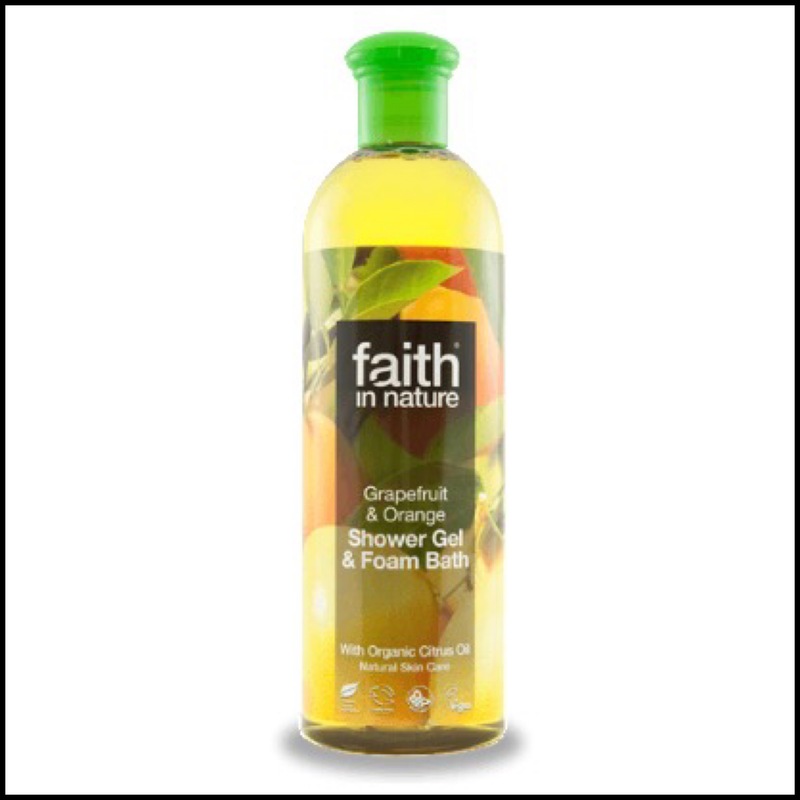 I discovered Faith in Nature in As Nature Intended but you can also buy it from Holland & Barrett. 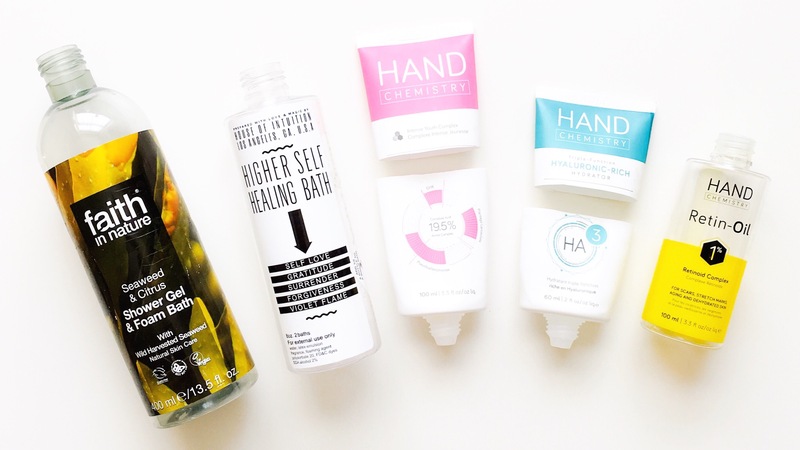 I have tried quite a few of these (the Seaweed and Citrus one is great too) and loved them all so if you struggle with finding good, natural bath products then give these a try. I don’t think they are available in the US but I will find out and let you guys know. Repurchase? Yes, although next I’m going to try Watermelon (yum! ), Lemon & Tea Tree and Mint – all perfect for summer! Ingredients: Water, Latex Emulsion, Fragrance, Foaming Agent, Polysorbate 20, FD&C Dyes, SDA Alcohol 2%. I bought this a fun birthday gift for my sister and loved the idea of it. Taking a bath and meditating on self love and gratitude is such a wonderful concept and I loved how purple the water looking when she filled the tub. We ended up using half each as I wanted to try it myself and while it was fun marinating and meditating in purple water, the scent was a little intense for me. House of Intuition is a very cool “metaphysical” shop in LA that offers classes, workshops and treatments all focused on healing and empowering and I love what they do. When it comes to this product though, I’m extremely disappointed. I’m honestly not a fan of the ingredients at all and feel like for a spiritual shop like this, selling something so synthetic and chemical based goes against everything they advocate. 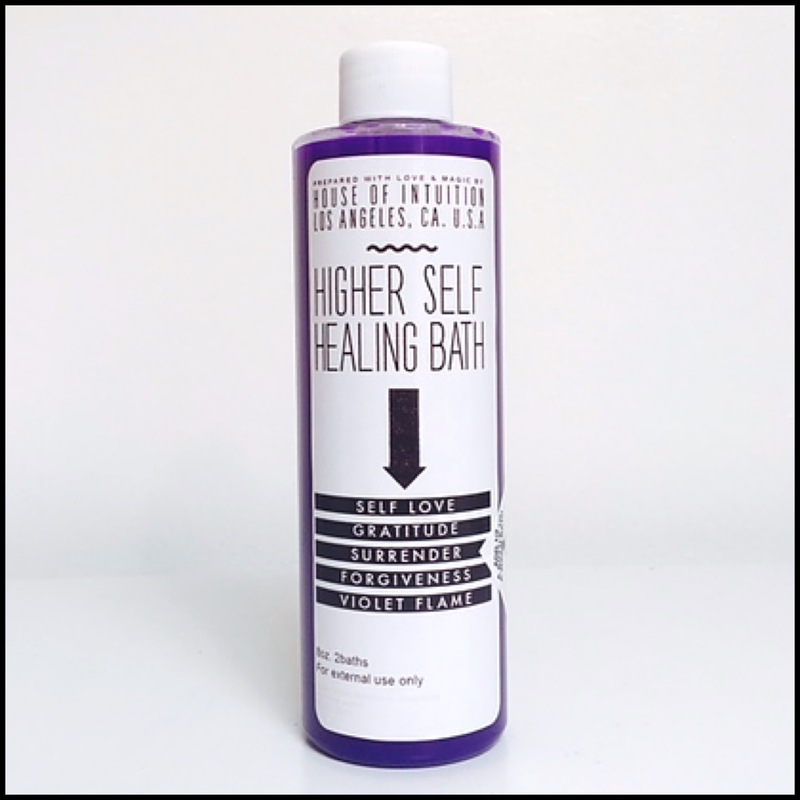 The idea behind these bath products is so cool and really empowering and I feel like they could have done some like infuse the bath product with crystals, use certain healing plants and at least use plant based/natural ingredients. I expected more for the price and for who made it. It may say “prepared with love and magic” on the bottle but there is nothing magical about synthetic fragrances, dyes and foaming agents. Sadly, I feel like this is more of a cheap gimmick than anything else. Repurchase? Unfortunately, no but but their bath bombs have much better ingredients so if you’re interested then try those. Ingredients: Intense Youth Complex – water (aqua), caprylic/capric triglyceride, propanediol, cetearyl glucoside, cetearyl alcohol, glycerin, cetyl alcohol, plukenetia volubilis seed oil, methylglucoside phosphate, copper lysinate/prolinate, plantago lanceolata leaf extract, pseudoalteromonas ferment extract, cellulose, caprylyl glycol, ethylhexylglycerin, tremella fuciformis sporocarp extract, proline, alanine, serine, tocopherol, phenoxyethanol, betaine, sodium polyacrylate, xanthan gum, potassium sorbate, chlorphenesin, sodium phosphate, sodium hydroxide, fragrance (parfum), citral, citronellol, eugenol, farnesol, geraniol, limonene, linalool. HA3 – water (aqua), caprylic/capric triglyceride, propanediol, cetyl alcohol, stearyl alcohol, saccharide isomerate, cellulose, polysorbate 60, polysilicone-11, sodium hyaluronate crosspolymer, sodium hyaluronate, euterpe oleracea fruit oil, plukenetia volubilis seed oil, mangifera indica seed butter, orbignya oleifera seed oil, pseudoalteromonas ferment extract, alanine, proline, serine, glycerin, lecithin, squalane, tocopheryl acetate, gluconolactone, sodium polyacrylate, citric acid, sodium citrate, pentylene glycol, laureth-12, ethylhexylglycerin, xanthan gum, caprylyl glycol, benzyl alcohol, sodium benzoate, sodium phosphate, sodium hydroxide, tocopherol, phenoxyethanol, chlorphenesin, fragrance (parfum), citral, citronellol, limonene, linalool, CI 75810 (chlorophyllin-copper complex). 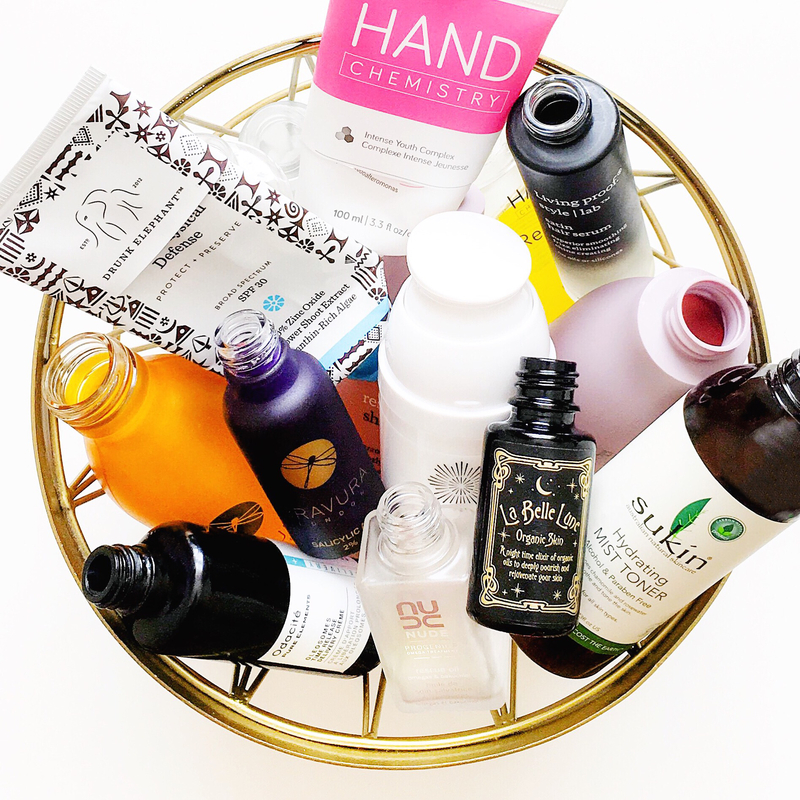 I have been a huge fan of Hand Chemistry for years and have been through both of these products so many times. The Intense Youth Complex works like nothing else and makes a visible difference to the tone, texture and hydration of the skin on my hands. The little HA3 ($7/£7) is something I always have in my purse and travel bag. It’s hard to think about what to say about something like a hand cream but the crazy thing is that these are so good that I know many people actually use them on their face. As with everything from Deciem these are high tech and perform better than anything else out there and if it wasn’t for my love of beautiful floral scented hand creams, I probably wouldn’t use anything else. I wrote about them more here so you can check that out for more information. Ingredients: C12-15 alkyl benzoate, ethoxydiglycol, ascorbyl palmitate, hydroxypinacolone retinoate, tocopheryl acetate, oenocarpus bataua fruit oil, euterpe oleracea fruit oil, algae extract, caprylic/capric triglyceride, dimethyl isosorbide, C12-15 alcohols, tocopherol, fragrance (parfum), alpha-isomethyl ionone, benzyl benzoate, benzyl cinnamate, benzyl salicylate, citral, citronellol, eugenol, geraniol, hydroxycitronellal, limonene. 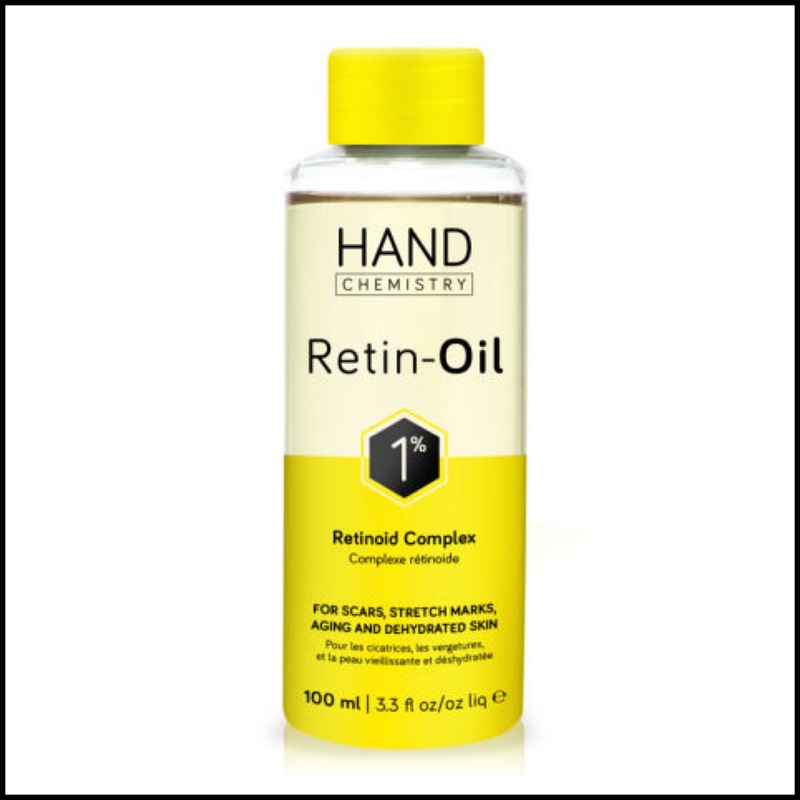 This is another product from Hand Chemistry that I have loved for a very long time and it’s been featured in last year’s Summer Favourites and my January Empties. Retinol in a body product is such a good idea and this dry oil formula is beautiful, leaving my skin so silky soft and smooth. Because of the Vitamin A it also tackles scars, texture, skin tone and even stretch marks. I love this so much but I really wish they would update the packaging. For one thing, 100ml is too small for a body product and I feel like I am constantly repurchasing so a bigger size would be more convenient. Not only that, it really needs a pump, or even better a spray top because pouring it out in my hand is messy, it drips down the sides and gets everywhere unless I wipe the bottle after every use. Despite that, I have purchased it again and again for so long now and it’s my number one body product. 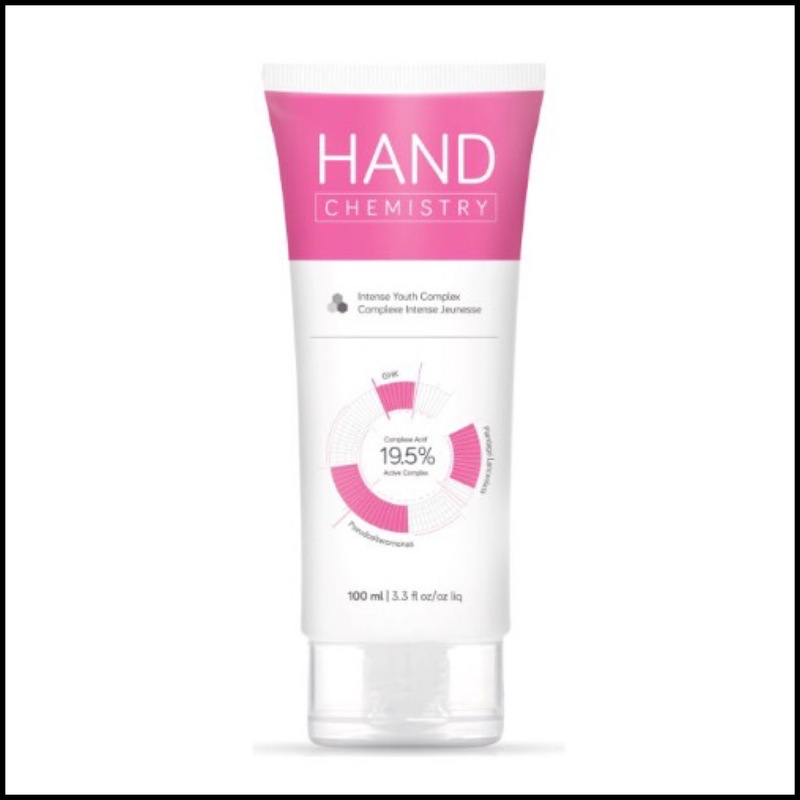 If you’d like me do a more in-depth post on the Hand Chemistry range please let me know and I’d be happy to that. Ingredients: Shampoo – Water/Eau/Aqua, Sodium Lauroyl Methyl Isethionate, Cocamidopropyl Betaine, Sodium Methyl Cocoyl Taurate, Glycol Distearate, Lactamide MEA, Polyquaternium-47, Behenyl Alcohol, Octafluoropentyl Methacrylate (OFPMA), Creatine, Polyquaternium-22, PEG-7 Glyceryl Cocoate, Laureth-4, Laureth-23, PEG-150 Pentaerythrityl Tetrastearate, PEG-6 Caprylic/Capric Glycerides, PEG-200 Hydrogenated Glyceryl Palmate, Methylchloroisothiazolinone, Tetrasodium EDTA, Methylisothiazolinone, Fragrance/Parfum, Limonene, Hexyl Cinnamal, Linalool, Citronellol, Magnesium Nitrate, Magnesium Chloride. Conditioner – Water/Aqua/Eau, Cetearyl Alcohol, Octafluoropentyl Methacrylate (OFPMA), Behentrimonium Chloride, Hydrolyzed Wheat Protein, Ceteareth-25, Quaternium-87, Hydrogenated Castor Oil/Sebacic Acid Copolymer, Guar Hydroxypropyltrimonium Chloride, Citric Acid, Methylisothiazolinone, Methylchloroisothiazolinone, Fragrance/Parfum, Limonene, Hexyl Cinnamal, Linalool, Citronellol, Butylphenyl Methylpropional, Magnesium Nitrate, Magnesium Chloride. Serum – Isododecane, Neopentyl Glycol Diheptanoate, C12-15 Alkyl Benzoate, Isoamyl Laurate, Diheptyl Succinate, Ethylene/Propylene/Styrene Copolymer, Octafluoropentyl Methacrylate (OFPMA), PPG-3 Benzyl Ether Ethylhexanoate, PEG/PPG/Polybutylene Glycol-8/5/3 Glycerin, Bis-Ethyl(isostearylimidazoline) Isostearamide, Phytosteryl Sunflowerseedate, Hydrogenated Vegetable Glycerides, Capryloyl Glycerin/Sebacic Acid Copolymer, Dilinoleic Acid/Propanediol Copolymer, Butylene/Ethylene/Styrene Copolymer, Fragrance/Parfum, Citronellol, Linalool, Butylphenyl Methylpropional, Citral, Limonene, Coumarin, Geraniol. I picked up this duo from Marks & Spencer’s as they didn’t have the PHD range (my favourite) and I decided to take the opportunity to try something new. The Restore range is aimed at dry, damaged hair and is supposed to be gentle and restorative, leaving you with hair that feels cleaner for longer and healthier after just one wash. I really enjoyed using these two and while they were not as suited to my hair as my long time favourite PHD products, they did work really well. 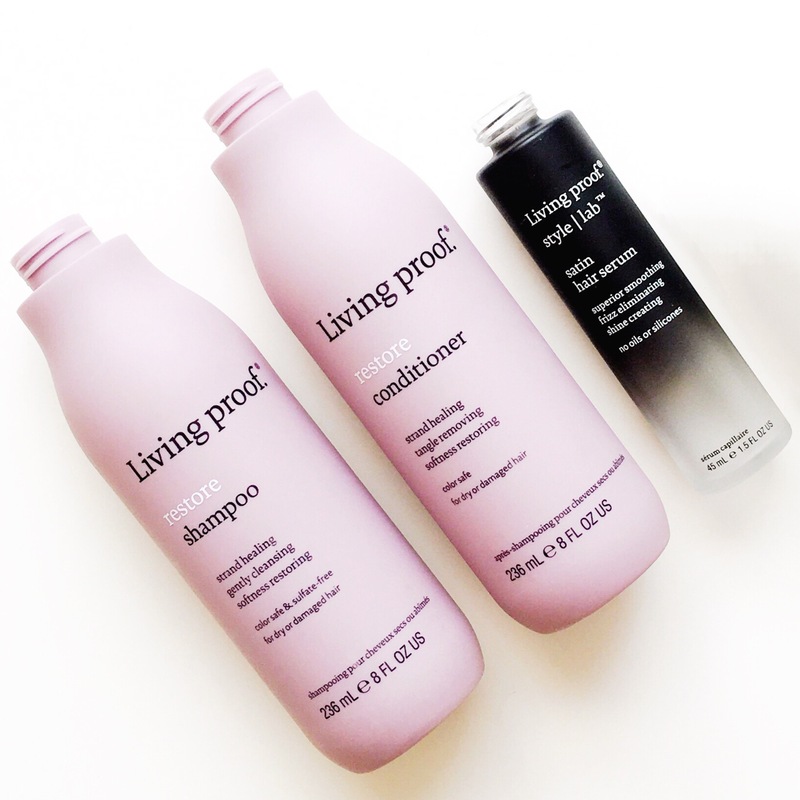 All the Living Proof hair products are great because they are sulfate, silicone and oil free and if you don’t like to wash your hair too often then their patented “Healthy Hair Molecule” will keep your hair feeling clean for up to 7 days (it works) so you don’t have to. Next, the hair serum has been a favourite of mine ever since it launched and it’s the only one I use. It’s oil and silicone free which is important to me and works so well to combat frizz and increase shine without feeling or looking greasy. You only need a small amount and it works great as a pre-heat styling treatment, too. I only use oils on the ends of my hair but this is great for all over and really makes a difference to the overall healthy look and feel to my hair and I highly recommend it. Repurchase? Shampoo and Conditioner – I would but I want to try the new Timeless collection next and serum – yes, already have another one. Phew! That was a lot of products to get through but how satisfying is it to use things up all the way to the end? I feel so accomplished! Haha! Great and detailed oriented post as always 🙂 I would try Hand chemistry hand cream. I wanted to ask something if u don’t mind, My husband and I have dry scalp issues which can get flaky sometimes. When we go to warmer countries, our scalps are just fine but when we are back to the UK we suffer from this issue. Problem worsens on windy and colder days. What would you suggest? I will look forward to your thoughts. 1. Metaphysical shop LOL 😂 Thanks for making me laugh. That inci list is a joke. 3. Living Proof… that is def on my list.